The hotly anticipated trial between Waymo and Uber began on Monday with Waymo’s lawyer dragging out the embarrassing elements of Uber’s “hustle-hard” culture. In his opening statement, Waymo attorney Charles Verhoeven pointed out multiple references in messages and public statements by former Uber CEO Travis Kalanick to what he viewed as an all-out war to dominate the self-driving car market. “This case is about two competitors where one competitor decided they needed to win at all costs,” Verhoeven said. 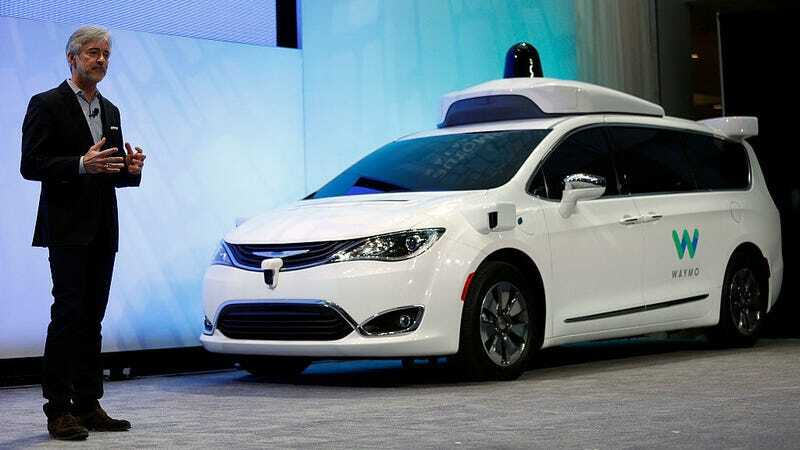 Held in the US District Court for the Northern District of California in San Francisco, the Waymo v. Uber trial follows a year of legal sparring between the two companies over Uber’s alleged theft of Waymo trade secrets. The trial, which was delayed after Waymo accused Uber of withholding evidence, is expected to finally answer whether Waymo’s technology was actually used in Uber’s vehicles. Although Anthony Levandowski, the former Google engineer who downloaded tens of thousands of files before joining Uber to work on its self-driving car team, has been at the center of the legal battle, Verhoeven worked to shift attention to Kalanick’s behavior. Verhoeven recapped Levandowski’s damning download history during his final weeks as a Google employee; he downloaded sets of confidential files in December 2015 and January 2016, often on the same days that he met with Uber executives, according to court filings and other records. However, Verhoeven did not take time to detail the specifics of the trade secrets that Levandowski allegedly stole—Waymo is set to present eight secrets at trial, most of them dealing with its custom lidar system that serves as the eyes of its self-driving vehicles. Meanwhile, Uber’s attorney, Bill Carmody, argued that it was Google, not Uber, that was scrambling to catch up on self-driving cars. Waymo had stagnated, Carmody claimed, and was struggling to retain the top talent it needed to advance in the industry. Uber has long maintained that none of the downloaded files ever made it to the company’s servers. Uber fired Levandowski last year for refusing to cooperate with Waymo’s investigation. Carmody told the court on Monday that the company laments Levandowski’s hiring. So far, Waymo hasn’t delved into its alleged trade secrets with the jury. Uber was the first to clear the courtroom and dive into the technology at the heart of the case. The Waymo v. Uber trial is expected to run through at least February 23rd. Update 1:50pm ET: Added statements from Uber attorney Bill Carmody.